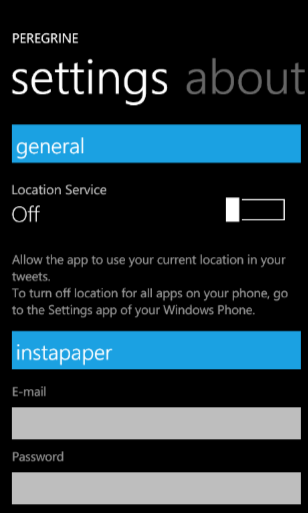 Simple interface true to the Windows Phone User Experience. Fast start up time and smooth scrolling. Remembers where you left of, and returns you to the last read tweet, unlike most other WinPhone twitter clients that return to the top of the list. 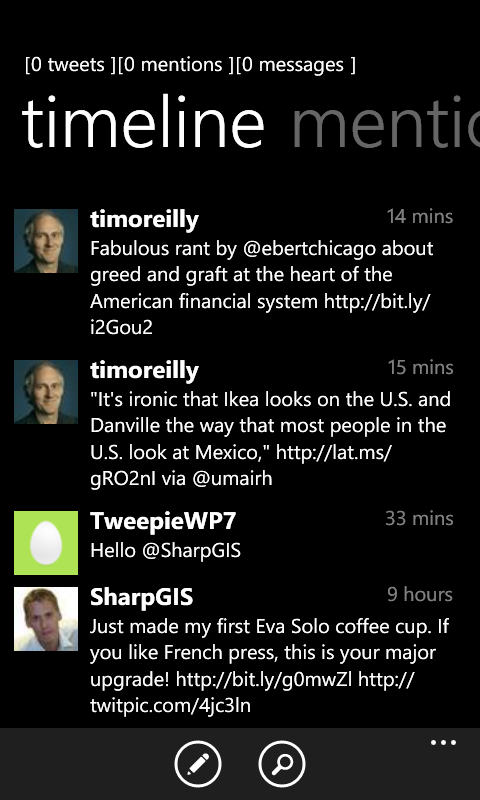 Shows number or unread tweets, mentions and messages at a glance, with no need to pivot to the category. 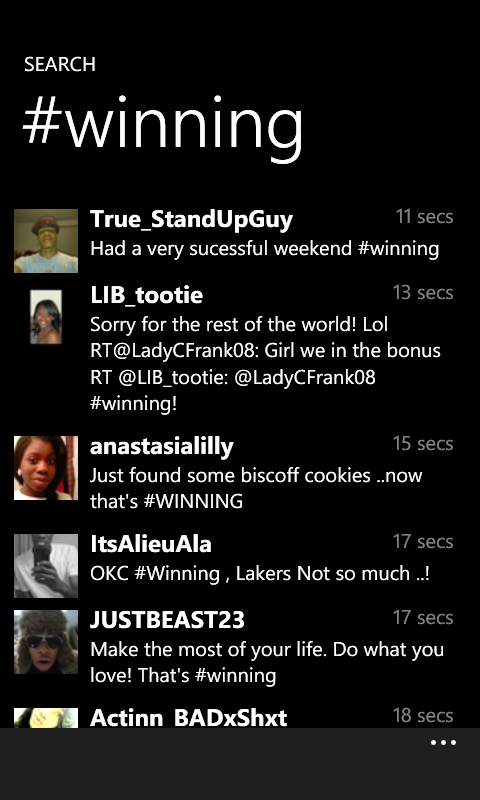 Automatically updates unread-count as you scroll up through the tweets. 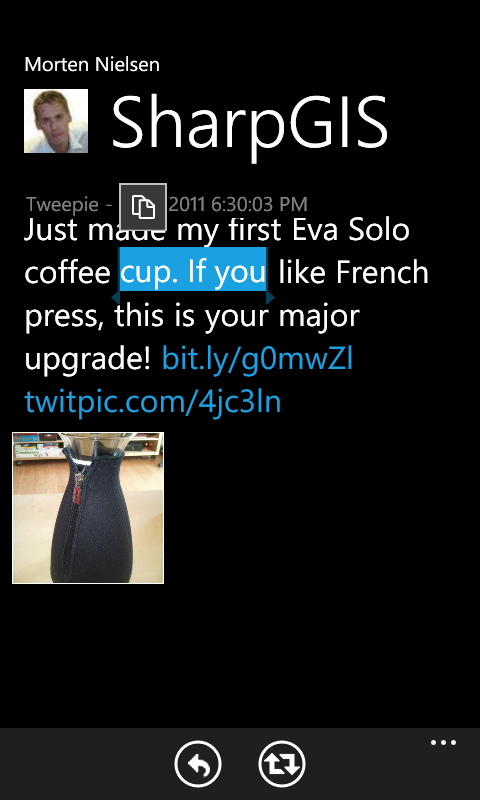 Fast loading of tweets by compressing data over the air. Also saves you data on your data plan! The Peregrine Falcon (Falco peregrinus), is renowned for its speed, reaching speeds of over 320 km/h (200 mph) during its characteristic hunting stoop, making it the fastest existing member of the animal kingdom. 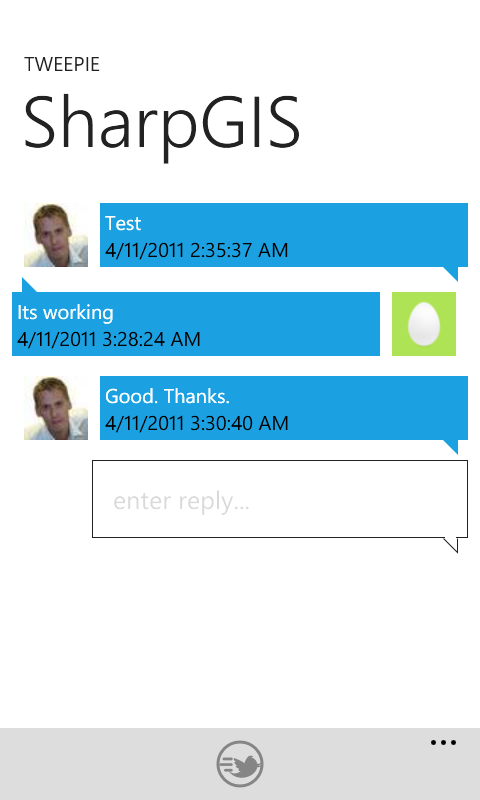 If you want to be part of the beta testing program, you will need a developer-unlocked Windows Phone 7. Use the link below to download the app for side-loading (if you don't know what that means, this is probably not for you :-). If you use this option PLEASE provide feedback on what you like, don't like, or as good a description you can of any errors you encounter. You can use the "Send Feedback" button from Settings -> About page.